The ‘Sunsets’ album is a collection of 8 tracks I recorded 2011 – 2014 and includes a couple of tracks not previously released. The track listing is in chronological order. During this period I was experimenting with different song writing techniques… writing from the heart, writing from the head, writing to brief, asking my Facebook fans for inspiration, etc. So, the result is a little bit eclectic in terms of subject matter. All of the tracks were recorded and produced in collaboration with Bill Shanley in Dublin (except ‘Pangaea’ which I produced and recorded myself – Pangaea is my ode to The Sperrins mountain range in County Tyrone and is the soundtrack to a time-lapse video created by local photographer Aidan Monaghan – it can be viewed here on my website). On the other 7 tracks Bill Shanley contributed his exceptional guitar skills and we brought in a couple of other musicians to give the songs more depth. For example, Ronan Browne plays low whistle on the opening track ‘Derrylahan Dream’ and on the last track ’90 Degrees’ I recorded with a full band. We were mostly aiming for an Irish-Acoustic-Folk-Pop feel… except on ‘Crash Land’ where it gets a bit more Rock Sci-Fi 🙂 The first 4 songs originally appeared on the Limited Edition Wendy Jack EP ( a few signed copies are still available from my website shop). It included my debut single ‘Sunsets’ which the album is now named after. 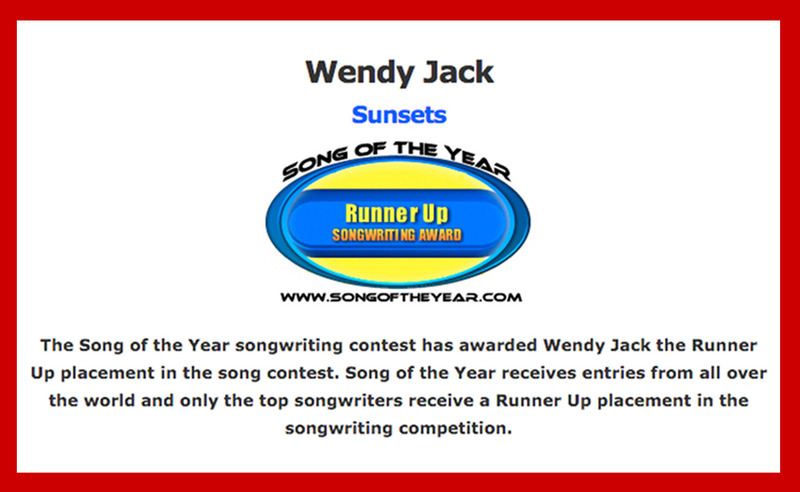 The song ‘Sunsets’ previously achieved some critical success receiving awards from two international song contests… I am now delighted to re-release all these tracks in the form of my new ‘Sunsets’ album and finally make all songs available on the usual digital music platforms. The stories behind most of the songs are given here on my website. These past few years I’ve been hibernating on beautiful Rathlin island… taking a bit of time out to work on some other projects and gain more inspiration for my song writing. Now I am re-launching myself with the release of this retrospective album and hope to be out and about playing and collaborating with other musicians whenever possible. See the EVENTS section for details of up-coming gigs. Go raibh mile maith agat ! Wendy Jack is currently ‘hibernating’ on a beautiful island off the coast of Northern Ireland. She is taking time out to write some new songs… snippets and samples of new material will periodically be posted on her social networking sites… Connect and join this musical adventure! ‘Sunsets’ wins new award !! 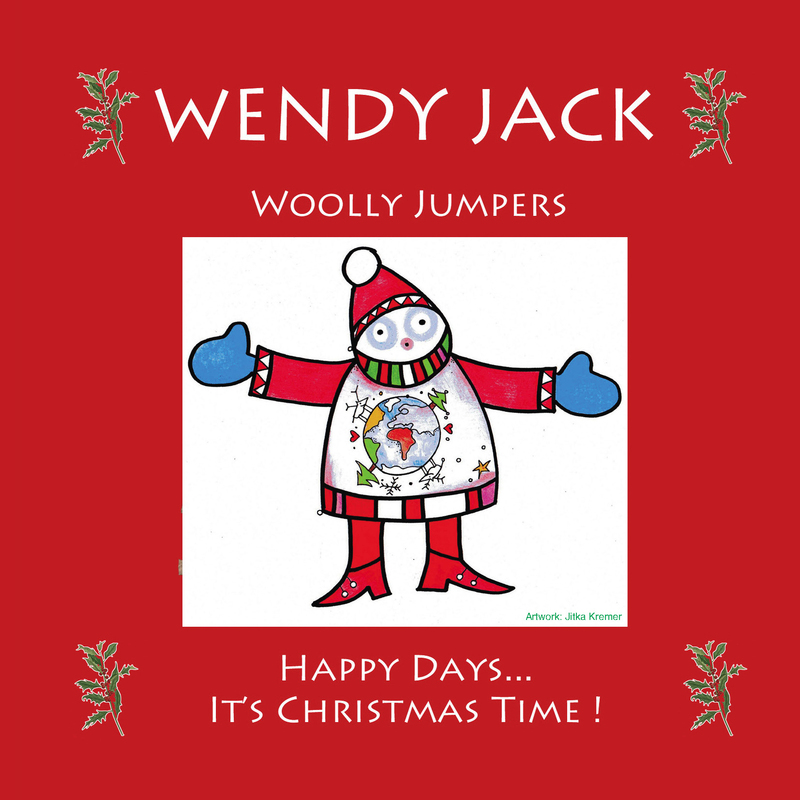 Woo hoo – my brand new Christmas Single is officially released. The track is currently available to purchase from bandcamp. I hope it makes the seasonal playlists of many people throughout the world… and inspires us all to do what we can to ‘hug the world’ & each other. Thanks to everybody for your support so far. Happy Days… It’s Christmas Time! I am delighted to be recognised as an ‘Avalon Artist’ and it seems I am in very good company!! I love the combination of tone woods and the workmanship that has gone into crafting my Ard Rí guitar. I also think it’s important to support talented local crafts people & instrument makers.